Riedel has been making the world’s premiere wine glasses for more than 250 years. For the serious wine collector, they’re almost a necessity. For the more casual wine enthusiast, they’re a beautiful, classic way to enjoy great wines. Riedel glasses make great holiday gifts for anyone who has a special place in his heart for wine. 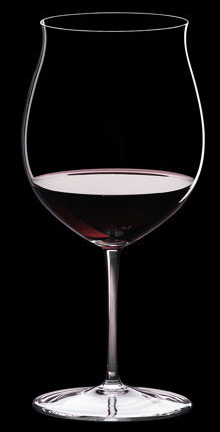 Riedel makes a wide variety of glass styles. One great choice is the Riedel Sommelier line. Their graceful shapes and long, delicate stems make them an elegant choice for the holiday season. Even better, these lovely glasses are on sale–check Facebook, Twitter or the latest VC newsletter for coupon codes for Riedel Sommelier, Howard Miller and WineKeeper products. Glasses from the Sommelier line are perfect for the serious wine lover. For someone who’s a little more casual about wine, a perfect choice is the “O” Stemless line. These family-style glasses are great for casual gatherings, dinner parties with friends, and just sitting around and enjoying a glass. Don’t forget if neither of these lines are what you’re looking for for the wine lover in your life, Riedel makes many more choices.